Lk. 18:8 Nevertheless, when the Son of Man comes, will he find faith on earth? When and where did the Lord promise that the whole world could be united in the Church? Such an expectation is nothing more than a chiliastic hope with no foundation in the Holy Gospels. All men are called unto salvation; but by no means do all of them respond. Christ spoke of Christians as those given Him from the world (John 17:6). He did not pray for the whole world but for those men given Him from the World. And the apostle St. John teaches that the Church and the world are in opposition to each other, and he exhorts the Christians, saying, “Love not the world, neither the things that are in the world. If any man love the world, the love of the Father is not in him” (I John 1:16). Concerning the sons of the Church, the Savior said, “They are not of the world, even as I am not of the world” (John 17:16). In the persons of the Apostles the Savior warned the Church that in the world She would have tribulation (John 16:33), explaining to His Disciples: “If you were from the world, the world would love its own; but because you are not of the world, but I have chosen you out of the world, therefore the world hateth you” (John 15:19). In Holy Scriptures, therefore, we see that a clear distinction is made between the sons of the Church and the rest of mankind. Addressing himself to the faithful in Christ and distinguishing them from unbelievers, St. Peter writes, “But ye are a chosen generation, a royal priesthood, a peculiar people” (I Peter 2:9). We are in no manner assured in Scripture of the triumph of truth on earth before the end of the world. There is no promise that the world will be transfigured into a church uniting all of mankind as fervent ecumenists believe, but rather there is the warning that religion will be lacking in the last days and Christians will suffer great sorrow and hatred on the part of all nations for the sake of our Savior’s Name (Matt. 24:9-12). …Therefore the efforts of Orthodox Christians should not be directed to the building of organizations, but toward becoming inhabitants of the new Creation after the Final Judgment through living a pious life in the one true Church. 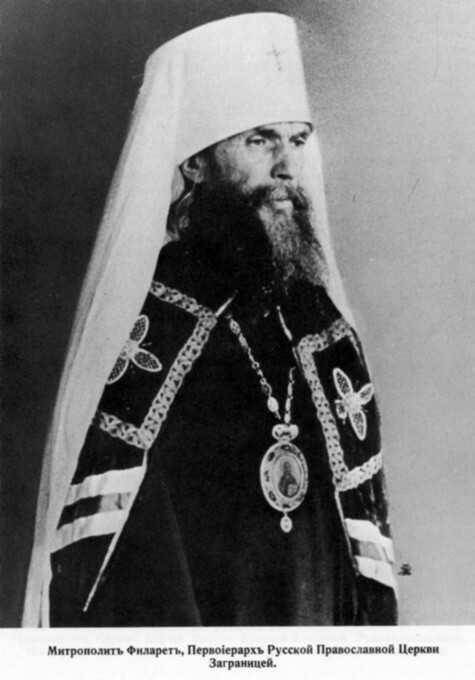 In the meantime, activities aimed at building the Kingdom of God on earth through a fraudulent union of various confessions without regard for the Truth, which is kept only within the Tradition of the Holy Orthodox Church, will only lead us away from the Kingdom of God and into the kingdom of the Antichrist. It must be understood that the circumstance which prompted our Savior to wonder if at His Second Coming He would find the Faith yet upon the earth is brought about not only by the direct propagation of atheism, but also by the spread of ecumenism. Question: “If the Orthodox faith is the only true faith, can Christians of other confessions be saved? May a person who has led a perfectly righteous life on earth be saved on the strength of his ancestry, while not being baptized as Christian? Answer: “For He saith to Moses, I will have mercy on whom I will have mercy, and I will have compassion on whom I will have compassion. So then it is not of him that willeth, nor of him that runneth [struggleth], but of God that showeth mercy” (Rom. 9:15-16). In the Orthodox Church we have the path of salvation indicated to us and we are given the means by which a person maybe morally purified and have a direct promise of salvation. In this sense St. Cyprian of Carthage says that “outside the Church there is no salvation.” In the Church is given that of which Apostle Peter writes to Christians (and only Christians): “According as His divine power hath given unto us all things that pertain unto life and godliness, through the knowledge of Him that hath called us to glory and virtue: Whereby are given unto us exceeding great and precious promises: that by these ye might be partakers of the divine nature, having escaped the corruption that is in the world through lust. And beside this, giving all diligence, add to your faith virtue; and to virtue knowledge, and to knowledge temperance; and to temperance patience, and to patience godliness; and to godliness brotherly kindness; and to brotherly kindness charity. For if these things be in you, and abound, they make you that ye shall neither be barren nor unfruitful in the knowledge of our Lord Jesus Christ” (2 Pet. 1:3-8). And what should one say of those outside the Church, who do not belong to her? Another apostle provides us with an idea: “For what have I to do to judge them also that are without? Do not ye judge them that are within? But them that are without God judgeth” (1 Cor. 5:12-13). God “will have mercy on whom He will have mercy” (Rom 9:18). It is necessary to mention only one thing: that to “lead a perfectly righteous life,” as the questioner expressed it, means to live according to the commandments of the Beatitudes—which is beyond the power of one, outside the Orthodox Church, without the help of grace which is concealed within it. The question: Can the heterodox, i.e. those who do, not belong to Orthodoxy—the One, Holy, Catholic, and Apostolic Church—be saved, has become particularly painful and acute in our days. In attempting to answer this question, it is necessary, first of all, to recall that in His Gospel the Lord Jesus Christ Himself mentions but one state of the human soul which unfailingly leads to perdition—i.e. blasphemy against the Holy Spirit (Matt. 12:1-32). The Holy Spirit is, above all, the Spirit of Truth, as the Saviour loved to refer to Him. Accordingly, blasphemy against the Holy Spirit is blasphemy against the Truth, conscious and persistent opposition to it. The same text makes it clear that even blasphemy against the Son of Man—i.e. the Lord Jesus Christ, the incarnate Son of God Himself may be forgiven men, as it may be uttered in error or in ignorance and, subsequently may be covered by conversion and repentance (an example of such a converted and repentant blasphemer is the Apostle Paul. (See Acts 26:11 and I Tim. 1:13.) If, however, a man opposes the Truth which he clearly apprehends by his reason and, conscience, he becomes blind and commits spiritual suicide, for he thereby likens himself to the devil, who believes in God and dreads Him, yet hates, blasphemes, and opposes Him. Thus, man’s refusal to accept the Divine Truth and his opposition thereto makes him a son of damnation. Accordingly, in sending His disciples to preach, the Lord told them: “He that believeth and is baptized shall be saved, but he that believeth not shall be damned” (Mk. 16:16), for the latter heard the Lord’s Truth and was called upon to accept it, yet refused, thereby inheriting the damnation of those who “believed not the truth, but had pleasure in unrighteousness” (II Thes. 2:12). The Holy Orthodox Church is the repository of the divinely revealed Truth in all its fullness and fidelity to apostolic Tradition. Hence, he who leaves the Church, who intentionally and consciously falls away from it, joins the ranks of its opponents and becomes a renegade as regards apostolic Tradition. The Church dreadfully anathematized such renegades, in accordance with the words of the Saviour Himself (Matt. 18:17) and of the Apostle Paul (Gal. 1:8-9), threatening them with eternal damnation and calling them to return to the Orthodox fold. It is self evident, however, that sincere Christians who are Roman Catholics, or Lutherans, or members, of other non-Orthodox confessions, cannot be termed renegades or heretics—i.e. those who knowingly pervert the truth…* They have been born and raised and are living according to the creed which they have inherited, just as do the majority of you who are Orthodox; in their lives there has not been a moment of personal and conscious renunciation of Orthodoxy. The Lord, “Who will have all men to be saved” (I Tim. 2:4) and “Who enlightens every man born into the world” (Jn. 1.43), undoubtedly is leading them also towards salvation In His own way. * The Greek word for “heresy” is derived from the word for “choice” and hence inherently implies conscious, willful rejection or opposition to the Divine Truth manifest in the Orthodox Church. The Orthodox teaching of the Church, which in itself is quite clear and rests upon Sacred Scripture and Sacred Tradition, is to be contrasted with another concept which is widespread in the contemporary Protestant world and has penetrated even into Orthodox circles. According to this different concept, all the various existing Christian organizations, the so-called “confessions” and “sects,” even though they are separated from each other, still comprise a single “invisible Church,” inasmuch as each of them confesses Christ as Son of God and accepts His Gospel. The dissemination of such a view is aided by the fact that side by side with the Orthodox Church there exists outside of her a number of Christians that exceeds by several times the number of members of the Orthodox Church. Often we can observe in this Christian world outside the Church a religious fervor and faith, a worthy moral life, a conviction—all the way to fanaticism—of one’s correctness, an organization and a broad charitable activity. What is the relation of all of them to the Church of Christ? Of course, there is no reason to view these confessions and sects as on the same level with non-Christian religions. One cannot deny that the reading of the word of God has a beneficial influence upon everyone who seeks in it instruction and strengthening of faith, and that devout reflection on God the Creator, the Provider and Saviour, has an elevating power there among Protestants also. We cannot say that their prayers are totally fruitless if they come from a pure heart, for in every nation he that feareth Him… is accepted with Him (Acts 10:3-5). The Omnipresent Good Provider God is over them, and they are not deprived of God’s mercies. They help to restrain moral looseness, vices, and crimes; and they oppose the spread of atheism. But all this does not give us grounds to consider them as belonging to the Church. Already the fact that one part of this broad Christian world outside the Church, namely the whole of Protestantism, denies the bond with the heavenly Church, that is, the veneration in prayer of the Mother of God and the saints, and likewise prayer for the dead, indicates that they themselves have destroyed the bond with the one Body of Christ which unites in itself the heavenly and the earthly. Further, it is a fact that these non-Orthodox confessions have “broken” in one form or another, directly or indirectly, with the Orthodox Church, with the Church in its historical form; they themselves have cut the bond, they have “departed’ from her. Neither we nor they have the right to close our eyes to this fact. The teachings of the non-Orthodox confessions contain heresies which were decisively rejected and condemned by the Church at her Ecumenical Councils. In these numerous branches of Christianity there is no unity, either outward or inward—either with the Orthodox Church of Christ or between themselves. The supra-confessional unification (the “ecumenical movement!’) which is now to be observed does not enter into the depths of the life of these confessions, but has an outward character. The term ” invisible” can refer only to the Heavenly Church. The Church on earth, even though it has its invisible side, like a ship a part of which is hidden in the water and is invisible to the eyes, still remains visible, because it consists of people and has visible forms of organization and sacred activity. Therefore it is quite natural to affirm that these religious organizations are societies which are “near,” or “next to,” or ” close to,” or perhaps even” adjoining” the Church, but sometimes ” against” it; but they are all “outside” the one Church of Christ. Some of them have cut themselves off, others have gone far away. Some, in going away, all the same have historical ties of blood with her; others have lost all kinship, and in them the very spirit and foundations of Christianity have been distorted. None of them find themselves under the activity of the grace which is present in the Church, and especially the grace which is given in the Mysteries of the Church. They are not nourished by that mystical table which leads up along the steps of moral perfection. The tendency in contemporary cultural society to place all confessions on one level is not limited to Christianity; on this same all-equalling level are placed also the non-Christian religions, on the grounds that they all “lead to God,” and besides, taken all together, they far surpass the Christian world in the number of members who belong to them. I was happy to receive your letter—happy not because you are confused about the question that troubles you, but because your attitude reveals that in the truth of Orthodoxy to which you are drawn you wish to find room also for a loving, compassionate attitude to those outside the Orthodox Faith. I firmly believe that this is indeed what Orthodoxy teaches…. 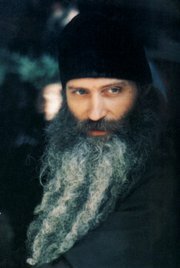 I will set forth briefly what I believe to be the Orthodox attitude towards non-Orthodox Christians. 1. 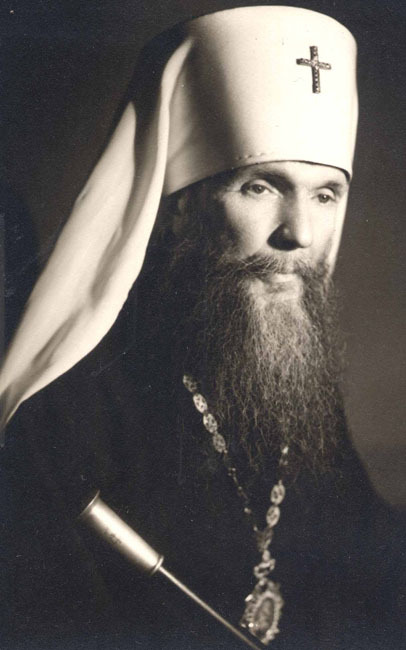 Orthodoxy is the Church founded by Christ for the salvation of mankind, and therefore we should guard with our life the purity of its teaching and our own faithfulness to it. 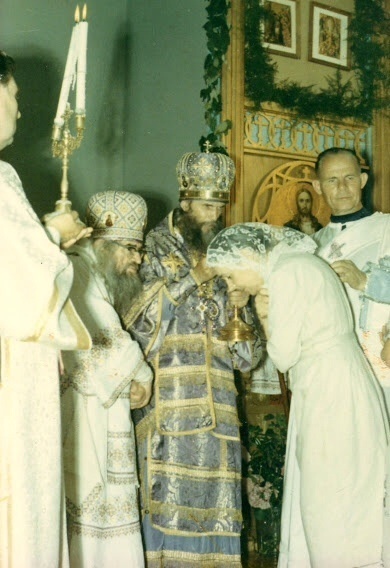 In the Orthodox Church alone is grace given through the sacraments (most other churches don’t even claim to have sacraments in any serious sense). 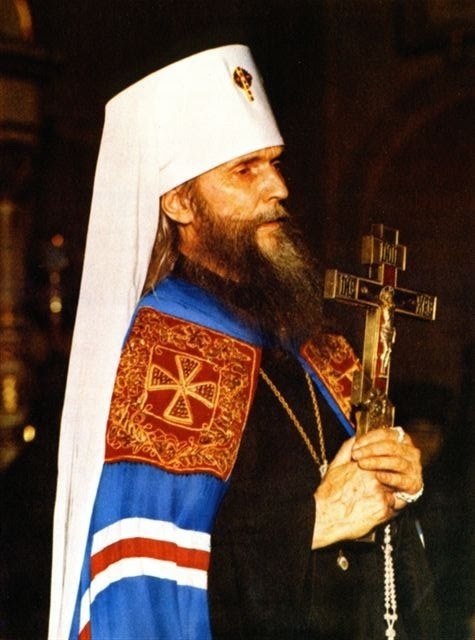 The Orthodox Church alone is the Body of Christ, and if salvation is difficult enough within the Orthodox Church, how much more difficult must it be outside the Church! 2. However, it is not for us to define the state of those who are outside the Orthodox Church. If God wishes to grant salvation to some who are Christians in the best way they know, but without ever knowing the Orthodox Church—that is up to Him, not us. But when He does this, it is outside the normal way that He established for salvation—which is in the Church, as a part of the Body of Christ. I myself can accept the experience of Protestants being ‘born-again’ in Christ; I have met people who have changed their lives entirely through meeting Christ, and I cannot deny their experience just because they are not Orthodox. I call these people “subjective” or “beginning” Christians. But until they are united to the Orthodox Church they cannot have the fullness of Christianity, they cannot be objectively Christian as belonging to the Body of Christ and receiving the grace of the sacraments. 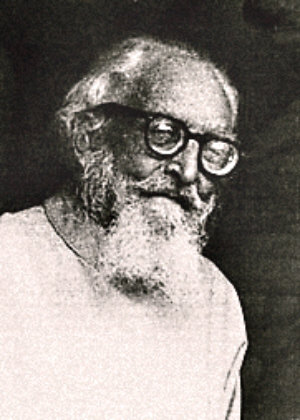 I think this is why there are so many sects among them—they begin the Christian life with a genuine conversion to Christ, but they cannot continue the Christian life in the right way until they are united to the Orthodox Church, and they therefore substitute their own opinions and subjective experiences for the Church’s teaching and sacraments. About those Christians who are outside the Orthodox Church, therefore, I would say: they do not yet have the full truth—perhaps it just hasn’t been revealed to them yet, or perhaps it is our fault for not living and teaching the Orthodox Faith in a way they can understand. With such people we cannot be one in the Faith, but there is no reason why we should regard them as totally estranged or as equal to pagans (although we should not be hostile to pagans either—they also haven’t yet seen the truth!). It is true that many of the non-Orthodox hymns contain a teaching or at least an emphasis that is wrong—especially the idea that when one is “saved” he does not need to do anything more because Christ has done it all. This idea prevents people from seeing the truth of Orthodoxy which emphasizes the idea of struggling for one’s salvation even after Christ has given it to us, as St. Paul says: Work out your own salvation with fear and trembling [Phil. 2:12]. But almost all of the religious Christmas carols are all right, and they are sung by Orthodox Christians in America (some of them in even the strictest monasteries!). The word “heretic” (as we say in our article on Fr. Dimitry Dudko) is indeed used too frequently nowadays. It has a definite meaning and function, to distinguish new teachings from the Orthodox teaching; but few of the non-Orthodox Christians today are consciously “heretics,” and it really does no good to call them that.